I spent most of my academic career doing what most of us do—teaching, writing, reading graduate applications and theses, having office hours, reading in my field, doing research. I didn’t pay much attention to the University and its administration. None of us have that luxury anymore. Budget cuts after budget cuts after budget cuts have left us all painfully aware of how the sausage is made, or not made. Having served in administrative posts for most of the last five years, I have come to know the budget issues very well. We are now past the tipping point. We are on a rapid downhill slide that will have profound effects for our state, our families, our country, and our world. In the space of less than a single lifetime, the University of California, Riverside went from being a small agricultural experiment station to being one of the top 100 universities in the world. An incredibly dense and elaborate web of specialists across all fields of scholarship, science, and the arts was developed, and it took enormous efforts by thousands of people over those years to make it happen. In less than the four years it used to take to graduate, it is being destroyed. Why is this happening? Political demagoguery and corruption. Thirty years ago UC received 9% of the state budget and prisons 3%. Now UC gets 3% and the prison-industrial complex gets 9%. The legislature is taking the money that should be used to educate the best of its citizens and using it enrich the people who make a profit from the imprisoning the poorest. The percentage of the cost of higher education provided by the state has been cut in half, cut in half again, and is on the verge of getting cut in half a third time. The people in the legislature understand the value of public higher education—the vast majority of them (in any given year over 80%) have degrees from our state system, and many of them have multiple degrees—all made possible by the legislators who preceded them, and who had more courage. They do not protect the University for a very simple reason: if they do, they will suffer a flow of conservative attacks and Tea Party racism, funded by the Koch brothers and their ilk, the standard price if one stands up for anything that is directly devoted to the commonweal. In my darkest moments, I think the monied interests working against reasonable taxation are doing so because they consciously, actively seek to make sure we do not have an informed, educated citizenry, the better to extract our collective labor and wealth unimpeded. But such intentionality isn’t necessary. Simple, short-sighted, grab-it-now, bottom-line greed explains their destruction of our culture, without recourse to any dystopian conspiracies. I hope you get angry. I hope you get active. Call and write your legislators, get out in the streets, take back your university, don’t let yourselves be the last people to have even this chance. The press, an essential and critical player in a democracy, has failed us by not being able to transmit the pros and cons of issues that are fundamental to our everyday lives. With a few exceptions, TV channels have reduced debate to sarcastic comments, banal questioning and rather supercilious, personal comments. Had there been a proactive government at the Centre, it would have seized the moment to reinvent Doordarshan so that it could compete with the frivolous channels in our media space. There is a crying need for a public interest channel that will treat the viewer with respect and not dumb down every idea to the lowest common denominator. Our people think and hear even if they cannot read and write. We have an oral tradition handed down over the generations that is alive and volatile. It hears and listens, and does not accept the drivel that is communicated. We need to speak to our people through the small screen. We need to engage with them and keep them connected. We do not need to declaim. Sadly, the untrained electronic lot screams at us, pushes its agendas in high-pitched, aggressive tones and kills the potential strength of the television. Anchors get away with anything. The same, predictable faces from civil society appear for the discussions. They flit like flies from one channel to the next. They represent themselves and their ‘hosts’. Boring, uninspiring and disconnected. Having said that, I do not understand why DD is not already doing what it should be doing, namely providing space for meaningful and non-partisan ground for debates and discussion! 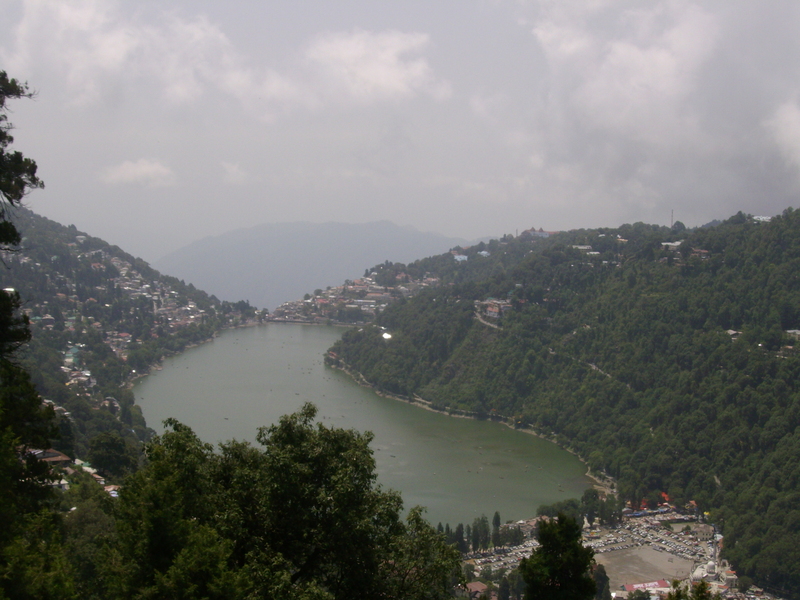 That is what the promo says; and, that is what it is as we found out during our recent visit to Nainital! The tourism office is a good place to start; I especially loved their pamphlet which among other things contains a map of all trails and roads making it easier to go on treks. We loved the boating trips in the lake (and the sail boat is an experience that is very different from the rowing and paddling boats), the visit to the zoo, the treks to Tiffin top, Naina peak and Hanuman Garhi, and the visit to Kilbury. We also happened to spot a Eurasian golden oriole in Delhi on our way up. Several times, we also spotted a bluish green bird of the size of sparrow in Nainital and surrounding regions, whose name I do not know. As an academic, of course, once in a while, I worry about my publications (or, more precisely, lack thereof). So, here is a piece in tomorrow’s professor as to how you can write your paper in summer vacation: Writing an article in 12 weeks! My defense of Lahiri has generally followed a two-fold pattern: first, craft matters, and Lahiri pays attention to her sentences. That’s why I value Lahiri and have generally dismissed sentimental Indian diaspora writers like Meena Alexander or Chitra Divakaruni. Secondly, Lahiri has been one of a very small number of writers to explore the mainstream second-generation immigrant experience with a degree of seriousness and care. For that reason, I respect the fact that Lahiri does not try to play her Indian cultural heritage for “multicultural” exoticism, but rather considers it as merely one among many pieces of the contemporary American puzzle. When I read these sorts of reflections, I worry that Lahiri has perhaps run out of ideas or inspiration. Aren’t there other kinds of narratives to work through than the one she has by now dealt with several times (in both essays and stories): of growing up as an Indian American in New England, going to college and graduate school, and finally, deciding, perhaps against her family’s wishes, to become a writer? Doesn’t Lahiri have an interest in representing or engaging voices other than her own? I will probably continue to be a fan of Lahiri’s, but I must admit my patience is wearing thin. When you read a good practitioner of any form of writing you are also provided a lesson in the practice of the art itself. Here’s what you learn from Manan Ahmed about blogging: Blogs should be short in order to be true to their medium; bound to the everyday, they should appear like fresh blood on the bandage. Ahmed’s posts possess both these qualities. As a blogger, Ahmed has too much quickness and wit to sound sententious; he is also far too self-conscious, or just plain honest, to ever wrap himself in sanctimony. These qualities not only make him eminently readable, they also push his writings, which deal with grim issues of culture and bloody politics, toward a kind of startling poignance. I know very few writers who lead us to rich sentiment as a refinement of thought itself. Ahmed is one of them. There is also something else in this writing: it is youthful, hip, eager to reach out to the world. I don’t mean I see here a naïve friendliness. No, as should be deduced from the idea of the blog, there is a desire to engage in a conversation, sure, but it is a critical conversation, full of attitude. Bruce Eckel has some nice things to say about this programming language. I need to check it out some time! Growth involves movement through five progressively more complex ways of knowing, which Kegan referred to as stages of development in 1982, orders of consciousness in 1994, and forms of mind in 2000.